Meet gorgeous Hattie! 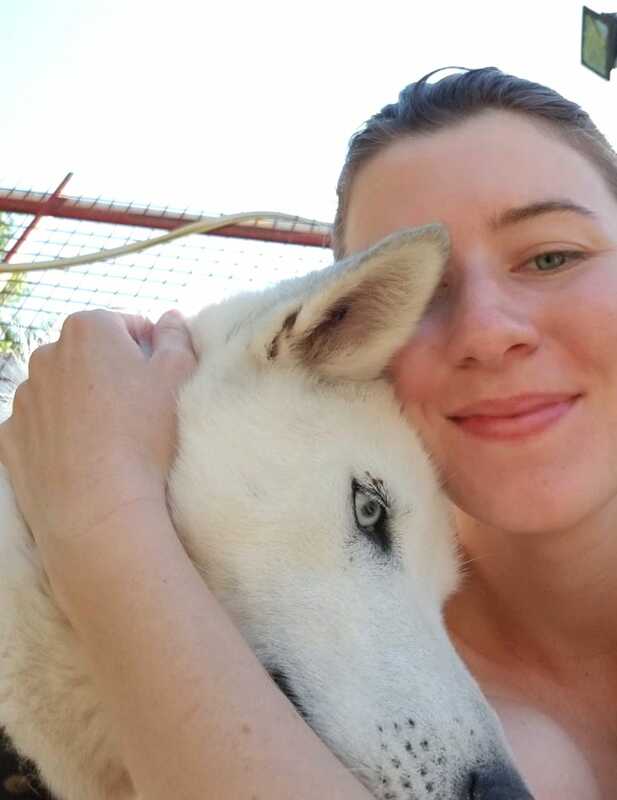 Her snow-white coat and blue eyes make her very unique! Hattie is extremely intelligent and people-oriented. She knows some commands but most importantly she wants to understand and please. Hattie is excellent with kids, does not mind cats, friendly to strangers, gets along with dogs but she prefers spending time with people. Hattie is active and loves to be outside, but she is not hyper. However, everyday walks and weekend hikes are necessary for her. She walks beautifully on a leash and jumps right into a car when the door is opened. She would be a great hiking companion! Hattie is a very special dog for our team, she was rescued with her 9 puppies inside of an abandoned building in a rural village. All of her 9 puppies are doing great at the shelter and will be available for adoption in July. We are looking for a forever family for Hattie that will appreciate all the loyalty and love she has to offer. Fill out an application and a member of our team will be in touch.